Originally published as a guest column in the Knoxville News Sentinel. In a recent article, Yolanda Jones and Daniel Connelly with USA Today Network reported on recent law enforcement involved shootings in the Memphis area. In each of the cases, there is concern over the justification of the shooting. Law enforcement executives across the country are aware of the scrutiny in which officer involved shootings are reviewed and they consider it a major concern impacting the entire profession. Even in Knoxville, a recent shooting has generated controversy over the details that seem to conflict with law enforcement statements and physical evidence. One concern that continues to surface is the manner in which officers receive firearms training. The Police Executive Research Forum has initiated seminars across the nation on Integrating Communication, Assessment and Tactics Training (ICAT). 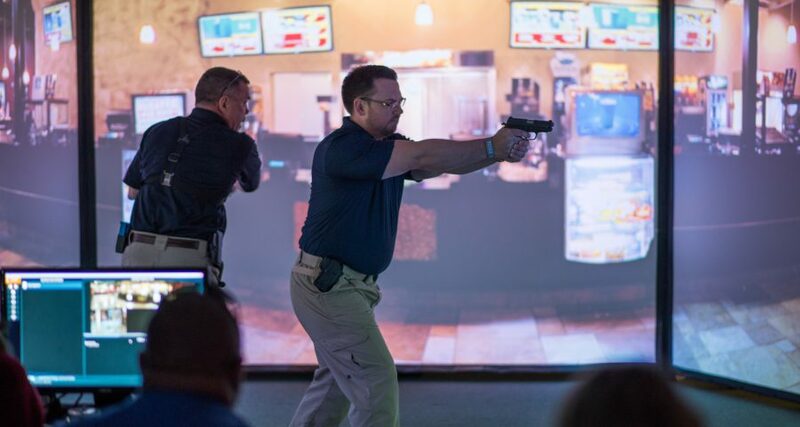 Similar to the University of Tennessee Law Enforcement Innovation Center’s De-Escalation Training, it promotes the communication and assessment of situations as to the most appropriate use of force prior to employing tactics. Law enforcement executives are becoming more cognizant that the firearms training that officers are exposed to is structured toward accuracy when employing firearms. Officers are required to attend a minimum number of hours of firearms training that may only consist of drawing their weapon and firing. When exposed to turning targets, they discharge their weapon every time the target turns. Rarely, is there an instance where the target is exposed that officers draw their firearm and not fire. And when the target has a weapon, are they ever exposed to a target that turns and no weapon is exposed? At the same time, many officers may go through their entire career and rarely become exposed to incidents where deadly force may be needed. In those situations where it is thrust upon them, the manner in which they respond may go back to how they were trained. If their only training has been to respond with deadly force, it may lead to many of the questionable shootings related in recent news articles. The two training programs mentioned above, as well as many others employed by law enforcement agencies, use realistic firearms simulators to allow for interaction between the officer(s) and the individuals they encounter during scenarios. No longer is the target a paper cutout that doesn’t speak; now with updated technology, the suspect engages the officer, talks and responds to the officer’s verbal commands. The situation may still require a deadly force situation, but offers the officer an opportunity to employ communication / de-escalation skills, assess the appropriate action prior to employing tactics. It provides officers an opportunity for exposure to potential deadly force situations in a training mode, prior to a real-life encounter. These simulators are not inexpensive, and the investment of funding and resources is a difficult decision. But providing the training for officers aids them in responding to critical incidents in a manner that reflects positively for them and their agency. Eliminating questionable police shootings improves public trust in the community. The University of Tennessee hopes to play a part in aiding both agencies and their communities. Don Green is a former deputy chief of police with the Knoxville Police Department and current director of the Law Enforcement Innovation Center, an agency of the The University of Tennessee Institute for Public Service.